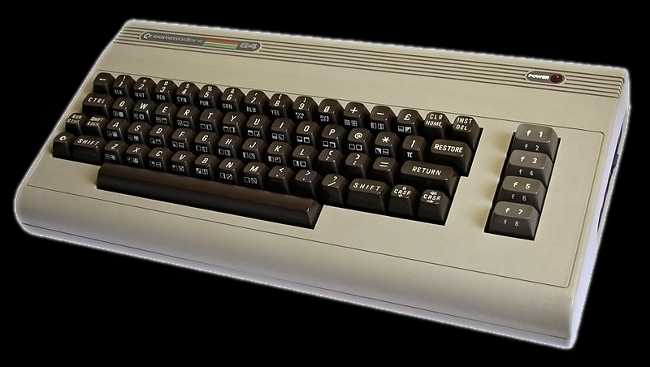 To me the Commodore 64 was not the true breakthrough as for many others. The main reason was that I experienced most of the C64's top games in their original form in the arcade and the C64's capacity could not match the arcade quality at all. But there were of course many great titles originally made for the C64 and some of them had a very different style of gameplay than the arcade games. An example of this was the flight simulators. 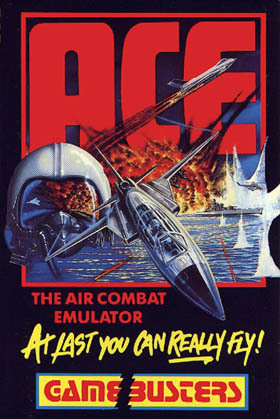 My favorite was "ACE: Air Combat Emulator" and it was a really great game. What a nice feeling of achievement when succeeding to get the plane into the air for the first time. It had lots of cool features like controlling your landing gear, ejecting the pilot, choose what weapons to load the plane with and even refueling in the air. Your instrument panel gave you really good feedback on what was going on. One nice little feature was that you could play co-op by having one player steer the plane while the other controls the weapons. This was a Combat Flight Simulator and you could shoot at both air, sea and ground targets. All this was a new game experience for me and the C64 made it happen. The first really good fighting game that I played on a home console was "The Way of the Exploding Fist" from 1985. It borrowed heavily from the arcade game "Karate Champ" which was released one year earlier. 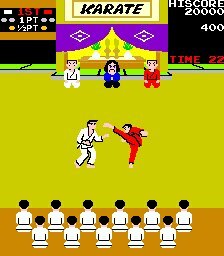 Another very similar game called "International Karate" got released 1986 which was even better.